I like routine. Even if it is the routine of the ebb and flow, the highs and lows, of being immersed in the autism spectrum. I can deal with those waves that produce somewhat of a rhythmic rocking as we float along. The gentle ups of good, easy days along with the downs of harder, more challenging days. It’s all okay. Easy-breezy. We will deal with things and move on as the Spectrum lifts us up and pushes us down throughout our lives. But the Spectrum has a fierce undertow. At least my Spectrum does. And sometimes that undertow suddenly reaches up its watery arm and grabs me and yanks me down. This morning began as an average day for us. Everyone is going about their daily morning business. The usual ebb and flow. The little ones are ready for breakfast and happily come to the kitchen. Lucy is getting her own yogurt and Henry is moving randomly about the kitchen as I get plates and cups out. (This is an “up” wave) Then, what goes up must come down. So I begin my short little dance with Henry to not only get his attention but then to get him to tell me what he wants for breakfast and then have him show me he is ready for breakfast by sitting in his chair. (this little dance is a “down” wave. But just a little ebb. One that is routine for the day). And these little waves are how we move through our day in just about everything we do. It’s all fine. We are managing. Later in the morning all continues to go well at our usual pace until…we were in our family room. The little ones were playing happily and I was actually getting some work done at my desk in my office area which opens up into the TV and play area. Henry came to the middle of the room. He looked scared. Tears were welling up in his eyes. I glanced at him over my shoulder from my desk and I could clearly see he was getting upset but trying to fight it. I did a quick assessment of the moments just beforehand. I had not heard any loud noises, no screaming or squeals, or fights over a toy. What the heck happened? And this is where the undertow of the Spectrum pulls me down to its disturbing depths. “Mom, I broke it! I can’t help it! I can’t control my brain. It’s hurting my brain!” He is crying now and I can hear the anxiety in his voice and almost FEEL it in him as I pull him close while he is physically pressing his hands to the side of his head. He cannot be consoled just yet. He continues to cry out about not being able to control his brain. I finally get him to calm down enough to understand that he broke the lid of the big plastic container we have that stores boxes of puzzles. I have no idea how or why the lid got broken. All I can think about is how disturbing Henry’s words are. “I can’t control my brain.” “It’s hurting my brain.” He continues to press his hands into his head and lean into me. Hard. I have my arms around him tightly hoping that the pressure will help him. I am so panicked by his words that I struggle to focus on calming things to say to him. I can’t imagine what he is seeing in his mind at that moment that it is hurting him so. He starts to take a breath but then glances over at the broken lid and starts in about his brain being out of control again. And the crying begins again. Oh God, my heart feels as if it is literally breaking at this point. There is physical pain in my chest and I am willing myself not to freak out over Henry’s words! Focus on the options map I am telling myself! Henry is clinging to me and crying still. “Okay, Henry, let’s take a break, okay? The options map says we can walk away too. Let’s do that. Let’s walk away right now and go upstairs for a bit.” He literally wraps himself around me, legs and all, and I pick him (which is getting to be no small feat at 40 plus pounds of solid boy!). As we walk by Lucy, I see she is still playing with her Barbie’s and watching whatever is on TV (probably the Bubble Guppies, her new favorite show). I tell her we will be right back. “Okay, momma.” At 4 years old, she gets it. She lives it. She doesn’t always like it but it seems she has resigned herself to it. Upstairs Henry is calming down. We sit on my bed and I hold him. When I ask him if he can tell me what he sees in his brain that is hurting him, he still can’t tell me. I hold him tight and we rock. I tell him that HE is in control of his brain. HE is the boss of his brain and HE tells IT what to do. He is no longer crying but he keeps holding me tight and burying his head into my neck that is now wet with his tears. When I feel him loosen his grip I move so he has to look at me. (another difficult task!). But he does and I tell him again that he is in charge of his brain. And he controls his brain because he is smart and good and strong! I don’t know how much of this he actually understood but he said he did and he was smiling at me. Then he started talking about blocks and train tracks and save for the one last tear that was still on his cheek, all was forgotten. Just. Like. That. He was off back downstairs to resume his play. Inside I am still screaming! What goes on in my son’s head?!?! Why can’t I understand?!?! Why can’t I stop whatever it is from hurting him?!?! I forced myself to let go of the disturbed feelings I was having. We will deal with those another day. Take that Undertow of the Spectrum! We have escaped your grasp once again and we swim up to the surface to BREATHE! When my son says this to me I know he wants to cuddle and give me a hug. He leans toward my cheek and I am not sure if I am going to get a kiss or a raspberry; with either one we both giggle. Henry has an infectious smile and a twinkle in his eyes that only mean trouble! He knows funny. He teases with the purpose of getting a laugh…or getting away with something. Sometimes it’s both. Sometimes he tries to be sly about it, keeping a blank face, his mouth set in a straight line. But he just can’t control the tiny twitch that reveals his dimple and then he’ll grin and when he can’t hold that back he will give you a full, gorgeous smile. Henry tells us he loves us, spontaneously, not just as a rote response to us saying it first. But he didn’t for a long time. He couldn’t identify emotions in pictures and certainly not in others or in himself. He has always been one to cuddle but on his terms, of course. Expressing his experiences and emotions are difficult concepts. I wondered (and worried) whether the concept of feelings, emotions, would be something that Henry would ever understand. Sure, he was slowly learning the appropriate words. But would he, could he learn to really connect on the emotional level with others. “I love you, too.” No real inflection of tone, no sense of feeling behind his words. Just memorization. I learned to accept that and I would take those words into my heart and there I would place feeling into them for him. For me. Throughout our days I try to show examples of happy faces and sad faces, angry faces, faces that are surprised. I point out these emotions in his favorite TV shows or movie, on my face, on his sister’s face. I try to get him to copy my expression. I encourage him to point to a happy face or sad face. I have been met with a blank expression. Many more times Henry would just walk away or start talking about something else. There was no interested or even a hint of comprehension of anything outside of himself. And then one day we were coming home from school and from the back seat I hear Henry say to Lucy, “How was your day, Lucy?” I held my breath wondering if he would just continue to talk through it about whatever he was seeing in his mind but there was quiet. He was waiting for Lucy to answer! Soon after that, one evening Lucy was crying about something at bedtime and Henry jumped out of his bed to give her a toy. Suddenly he was dancing around making silly faces. He was trying to cheer her up! Is it possible that he was slowly “getting it”? Henry turned back to Molly and said, “Molly you should check your options map.” And then he proceeded to list all of the “green-light” options for what you can do when you are mad or frustrated or upset. And still then continued on to SHOW her how to take deep breaths and count! (Score a perfect 10 for ABA!) He was making the connection between feelings and actions. Some may say that Henry is just learning to memorize the correct response and not really feeling what he is saying. I think that is part of learning about emotions. He is learning to put words with feelings AND feeling into his words. When he spontaneously smiles at me and says, “I love you, Mom.” His tone changes. I no longer have to put my own feelings onto his words. He is doing that all on his own! We are having to prompt him less and less about saying thank you when he receives a gift and when he does say “thank you” there is a tone of sincerity. Henry does have feelings and he is beginning to understand those feelings. I don’t wonder about him getting this concept any longer. He sometimes has trouble expressing them but I do believe this will come in time. You can see he is trying. He will learn to do this in his own funny, quirky way which may be very different from most of us but I think that is okay. That’s how he rolls. It may seem funny or odd to have to practice emotions and appropriate emotional responses. For us, our daily lives are filled with practice. Everything is practice. Feelings and emotions are such difficult concepts for most people on the spectrum. Deficits in this particular area is one of the criteria for being on the autism spectrum to begin with! So, we’ll just keep practicing. Grant responded as I watched from Lucy’s bed and wondered how this was going to play out. “Okay, I will”. Grant turned to say goodnight to Lucy and Henry said, “No, now Dad. You have to tell her now and give her a hug and kiss.” He was watching us for practice I guess? Silly little dude. So, Grant and I turned toward each other and wished each other a happy Valentine’s day. We said “I love you” to each other as we hugged. There is no better Valentine’s gift than that! Amazing Thing #1: the youngest FINALLY gave up the pull-ups at home and now uses the potty!!!! (She’s been going on the potty all year at school but absolutely has REFUSED in no uncertain terms to go on any other potty. Really?!?) Technically this breakthrough happened yesterday afternoon but since it carried over into today (for all bowel habits, no less!) I am considering this a done deal! I was prepared for our son to have some challenges in this area a few years ago given his spectrum challenges but overall, he was way easier than this last precious lamb of ours! We are officially done potty training in our household! Amazing Thing #2: We had just the most wonderfully successful play-date at our house today! This was the second time our new friends have come for a visit and even though almost 4 weeks had passed since the last visit, all three kids did wonderfully! Henry did have a bit of a meltdown at one point (because, you know, as a somewhat responsible parent, I feel that throwing toys from standing on top of a table is not a good thing, especially with guests as witnesses…or targets!). I was able to remove him from the situation without too much of a struggle and was actually able to get him to review his options map. When I asked him to then do his deep breathing and counting at least three times he told me that he would rather do it five times. Wow! Look at us workin’ the ABA! That’s a big step! He was able to return to the family room/play area (aka The Lab) without further incident. He even kept his clothes on the whole time our guests were here! This is something we have been working on and finally we are seeing some success in this area as well! Meanwhile the girls continued to bond and are actually learning to play together! Lucy being the “neuro-typical” of the two, so wants “E” to be her friend and I think today that happened! Lucy is SO very social and chatty ( and “chatty” may be a gross understatement here), that I am guessing that poor “E” is finally just learning to give in and go along just to get Lucy to shut-up! 😉 At one point both girls headed up the stairs together to check out who knows what and both “E”‘s mom and I were so surprised that I think we were both afraid to breathe! They came back down after only a minute or so but once they got the okay from us, back up they went to play in Lucy’s room! There was definitely a two-way conversation going on between the girls! Again, more breath-holding and tears welling up in our eyes! I saw myself today in another mother’s eyes. For a moment I could not breathe. The pain and hurt welled up in my chest and throat. I saw tears in her eyes as she watched her daughter play; the love and joy and pride so fierce! Yet also seeing the agony of knowing just how painful it is for her precious little girl to be so close to other children, taking turns in a game no less! And at the same time exhilaration that her daughter was DOING IT! I was overwhelmed! We watched our kids play together, my son, her daughter, along with another beautiful girl. They PLAYED! I wanted to yell out my excitement! YES! I contained myself somehow. We were watching them behind a two-way mirror. We could see them in a play room with two ABA trainers “playing” with them but they could not see us, watching them, cheering them on silently in our hearts. We were encouraging of each other as parents. Some kind of bond, a knowing, an understanding on a completely different level was there. I wonder what other parents would make of this scene. Parents with typical kids. Would it even look like playing to those parents. Each child needed different reminders or prompts for what was expected next in this time of “forced” socialization. The little girl sitting next to my son could barely look at anything but the floor but when prompted she looked at my son and said, “Your turn.” and my son looked back at her, if only for a second. But they LOOKED at each other! Another silent cheer from us! I wanted to tell this other mother, “I see! I know! It is okay! It will be okay!” How can I begin to tell her that I feel the pain, the fear, the pride and the love all at once, too? For the last year I have felt so alone. I know no one personally who has a child on the autism spectrum let alone someone who lives very near us with a child the same age! I saw in her eyes what runs through my heart every day! Can others see this in my eyes too? If so, no one has admitted it to me. 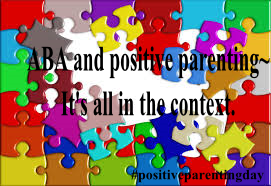 Is it only us parents with children on the spectrum that can see it? For the first time I felt less alone when I saw myself in that other mother’s eyes. Does she see it in me too? Because I know, she knows! The raw emotion bubbles so near the surface. I could use a friend that gets it! I hope she does see because then maybe she can understand just how good she made me feel not to feel so alone.